The Star Trek Las Vegas convention is almost here and we have even more exciting news! Our team is pleased to announce that we'll be joined by Chase Masterson during our panel at 6:15pm PDT on Friday, August 7th at the Leonard Nimoy Theater. Chase Masterson, famous for her role as Leeta in Deep Space Nine, will join our panel alongside Aron Eisenberg known for his role as Nog, executive producer Stephen Ricossa, lead designer Al Rivera, lead artist Samuel Wall, and moderator Holly Amos. Captains visiting Star Trek Las Vegas this year will also be able to grab an exclusive unlock as well. 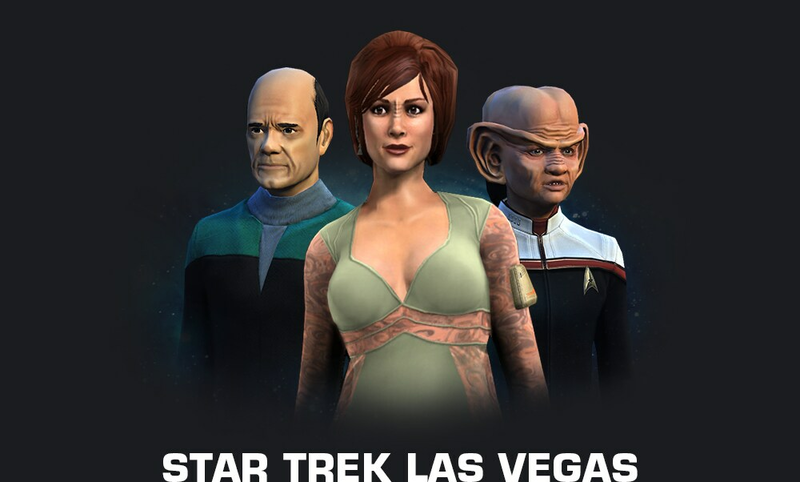 Convention attendees can redeem a very special convention code to claim their very own in-game emergency medical hologram bridge officer as well as the "Convention Veteran" title for all characters on your account. Stop by our booth to grab your code! Be sure to join us at the iBar down the hall from the convention in the Rio Hotel for our Meet the Devs event. Come and chat with not only our developers, but Star Trek Online podcasters and other Captains like yourself! With so many amazing things planned, we can't wait to see you at Las Vegas!